" Grand JIEP BizHomes is to meet the needs of expatriates/entrepreneurs who live in the period of weekly/monthly in Jakarta"
PT Jakarta Industrial Estate Pulogadung (JIEP) Corporate Secretary, Purwati said, her side rents out a residential business concept. This residential named Grand JIEP BizHomes has 58 units. 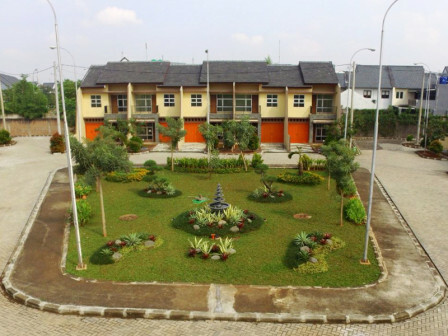 Grand JIEP BizHomes that is built on the 13,403-square-meter width on Jalan Pulosidik, Number 50, Jatinegara, Cakung, East Jakarta is close to Jakarta's industrial, financial, logistics and distribution centers. "Grand JIEP BizHomes is to meet the needs of expatriates/entrepreneurs who live in the period of weekly/monthly in Jakarta," he expressed, Thursday (7/5). She explained, the residential has several types, namely creative design (guest house), dynamic (small office), innovative (distribution point). It is also supported by transportation access near Rawamangun Bus Terminal and Pulogadung Bus Terminal, Tanjung Priok Port, and Halim Perdanakusuma Airport. "This residential is also close to Klender Train Station and inner-city toll road access," he said.